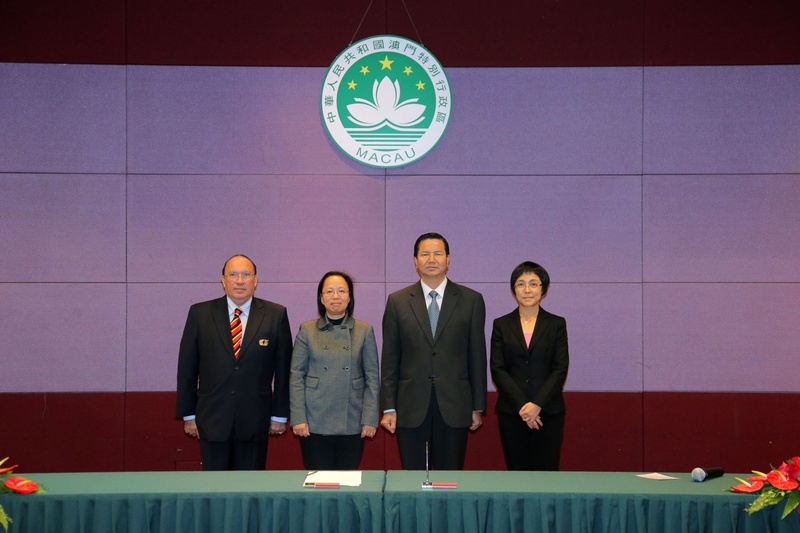 Secretary for Social Affairs and Culture of the Macau SAR Government Cheong U hosted today (December 26) the Inaugural Ceremony of Director of Macau Government Tourist Office (MGTO) Maria Helena de Senna Fernandes. The inaugural ceremony took place at Tourism Activities Centre. 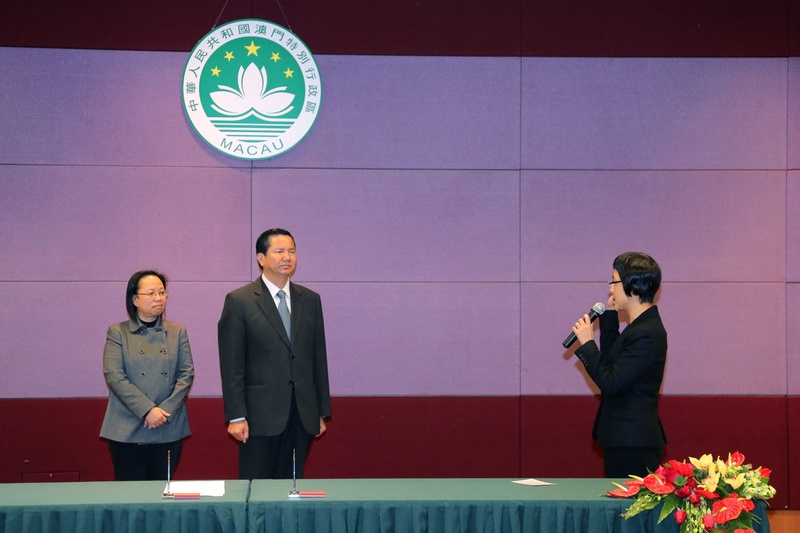 Secretary Cheong administered the oath of office while it was witnessed by Acting Chief of Office of the Secretary for Social Affairs and Culture, Maria Madalena Leong. The new Director of MGTO Maria Helena de Senna Fernandes possesses a bachelor degree in business administration. She joined the public service in 1988 and served as the promotion department head of the former MGTO from 1994 to 1998 and Deputy Director of MGTO from 1998 till today. Currently, Fernandes acts as a member of Committee of Nomination of Medals and Honorary Titles, Macau Grand Prix Committee, Tourism Development Committee, Tourism Crisis Management Office and Committee for the Development of Conventions and Exhibitions. She was also a member of the Strategic Intelligence Advisory Committee of the Pacific Asia Travel Association (PATA) from 2007 to 2009.